My cousin picked up this green beetle from the woods (during our vacation at the woodhouse near Kodai) and I was scared when he put it on my wheelchair board. But he told me it was lifeless so did I breathe, because I am always scared of insects and that not mean I hate insects but I like watching and shooting from a distance. He knows I like to shoot interesting subjects and as I had camera on hand I immediately took a snap on the beetle to only see a little vibrate in its legs but before we realize it was alive, it took off to fly! We were surprised and he told it was on the ground, with all mud sticking on it made certain it was dead and was like that until I took snap. I could still recollect the vibrate it creates before taking off. I leave with another wild insect I captured from the same vacation and I have idea about the species and it was lying on the dining table out at the woodhouse balcony. Hello, the green beetle looks huge. 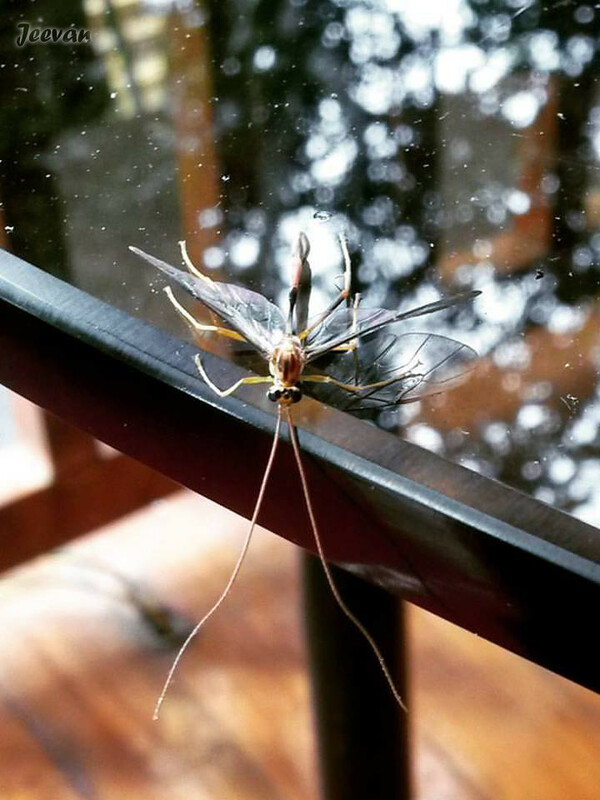 The second insect has pretty wings, that one looks like a biter. Thank you so much for linking up and sharing your post. Happy Saturday, enjoy your weekend! PS, thanks also for your comment on my blog. Eileen - The beetle was about 2 inches length! I don't like to be around critters either, but from afar it's fine. Wow! Awesome macro shots of the beetle and other insect! 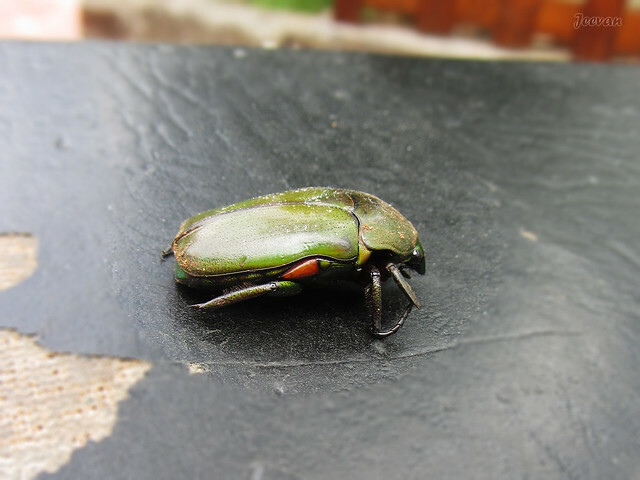 It is a nice green bug. I don’t really like them either. We have Japanese beetles here that are in large numbers eating everything. Cute beetles, although the one with big wings also looks a bit scary. The green beetle is really big! I don't like them too near me but just near enough for taking photos! Luckily this beetle lives in India. If they are found in Thailand or Cambodia, they would end up in the folk's tummy! They eat them as snacks!